He was a little shy, jet-lagged and sneezy after two weeks of summer school with the Royal Ballet in London, where he’d been desperately homesick. He knew no French. This writer, who interviewed him at the Jean M. Wong School of Ballet’s headquarters in North Point (he’d started at the school’s Tsuen Wan studio, aged seven), wanted to wrap him in cotton wool. How would he fare in the shark tank – forget swans – of the overseas ballet world? Four years on, Lam has just become the first Chinese member of the Paris Opera Ballet. The achievement is truly remarkable. He now speaks beautifully measured English and French. He’s just as appealing in face and manner but he seems considerably more confident, and his high-stepping, feline grace draws every eye in the school’s corridors. “I was always alone because I couldn’t communicate properly,” he says. “I was sleeping in a dormitory and I cried a lot. I couldn’t understand anything.” Because of the time difference between Paris and Hong Kong, he was given special permission to make morning phone calls. He rang his mother every day. When he came home that first December, his parents told him that his aunt – to whom he was extremely close and who’d been particularly supportive of his dancing – had cancer. She died during his second year. He was allowed back to say goodbye; then he returned to his ballet history, anatomy and music exams (in French). What saved him – apart from his art – were his weekend host families. The school closes every Friday at 5pm and the pupils disperse until Sunday at 8pm. Through Wong’s contacts, he initially stayed with a family in the 16th arrondissement, one of the most desirable districts in Paris. They later moved, as chance would have it, to Hong Kong. Another host family have embraced him as a son and taught him to cook; he baked a walnut cake for Wong when she came to visit. The Paris Opera Ballet was his ultimate goal, but he auditioned for other companies, including, in February, the Hong Kong Ballet. “They offered an apprentice contract,” he says. An apprentice is a level below the corps de ballet and the contract runs for 12 months. In Paris, he will be in the corps; and his contract lasts until the unimaginable age of 42. It’s the terpsichorean golden rice bowl. The director of dance at the Paris Opera Ballet is Benjamin Millepied, husband of actress Natalie Portman. Lam has already danced with the company – the five-degree incline of the Palais Garnier’s raked stage was an initial challenge – and met Millepied. “I think he’s trying to promote young dancers earlier,” he says. “He’s a lot more open-minded. He didn’t have a career at the Paris Opera and I think he will bring good changes to it.” With that shift in rigid hierarchy, any opportunity for a fiercely focused dancer is possible. He’s learned to be two people: “a different person in both cities,” he says. He finds himself thinking in French. Some of his Cantonese vocabulary is slipping away, and his knowledge of written characters is fading. He doesn’t have a French name but people address him as Mr Wing, which seems appropriate for someone now taking flight. Life for the Lam family has been transformed in four years: his older sister was so taken with the French lifestyle she’s now studying translation in Lyon. Last night and tonight, he’s dancing the role of Basilio in the school’s Stars of Tomorrow gala production of Don Quixote, at the Hong Kong Cultural Centre. That’s how it raises money for the kind of scholarship that funded his Paris adventure. One day, he says, he may become a teacher himself. But, first, there will be other roles. It’s 55 years since Jean Wong, a graduate of London’s Royal Academy of Dance, set up a ballet school in Hong Kong, intended for the Chinese-speaking community, not the colony’s expatriates. She estimates that she’s taught more than 10,000 students in that time. In November 2015, Lam wrote: It was 4 years ago, I was accepted by the Paris Opera Ballet School. While I was feeling overjoyed I made this music video to thank my teacher, Ms. Jean M. Wong for bringing me to audition in Paris and for letting me go aboard for professional ballet training. [San Jose, California, USA] – He had to travel almost 6,000 miles and adjust to a completely different culture while spending long hours on the practice floor, but a local teenager now can fulfill his dream of performing among the best dancers in Russian ballet. 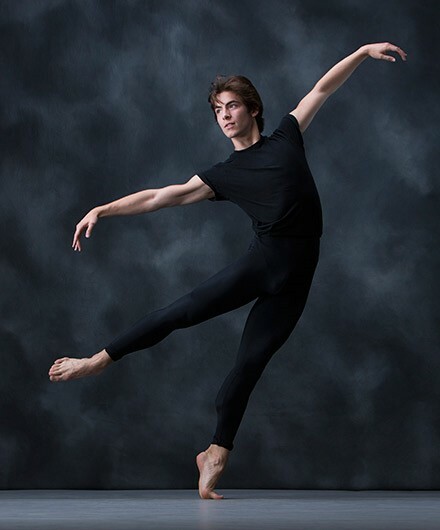 Daniel Rubin, born and raised in Cupertino, has been accepted to the Eifman Ballet in St. Petersburg as the company’s first American male dancer. Rubin has been tiptoeing toward his goal to dance on the big stage since he was 5 years old, though ballet wasn’t his first choice because he didn’t want to be with “all the girls” back then, he said. But tap and hip-hop dance just didn’t work out, so his parents searched for a ballet class he could enjoy. They found that in San Jose Ballet. “At first it was just for fun, then when I was 11 or 12 there was a performance. It felt … golden,” Rubin recalled. That was a turning point, the now 19-year-old said. But the family’s hard work paid off as the slender 6-foot, 2-inch teen made his way through several dance schools and camps in the United States, including the Kirov Academy of Ballet of Washington, D.C., and the Santa Rosa Dance Theatre. Among other schools, he also spent two summers at the Royal Ballet School of London before heading to Russia. At the school he was taught not only dance technique but also the theory of classical dance, duet and character and history of performance. Placed in classes with Russian students, many of whom had been practicing ballet since they were very young, Rubin also needed to brush up on his Russian language skills. All the while, his mother asked that he continue with American high school classes online. After years of preparation, barre work and perfecting plies and footwork, students at Bolshoi take to the big, gray theater stage where final exams are taken. “I think every dancer who graduated from our academy has said that this exam, especially the beginning, is the most frightening moment on stage of their lives,” Rubin said. 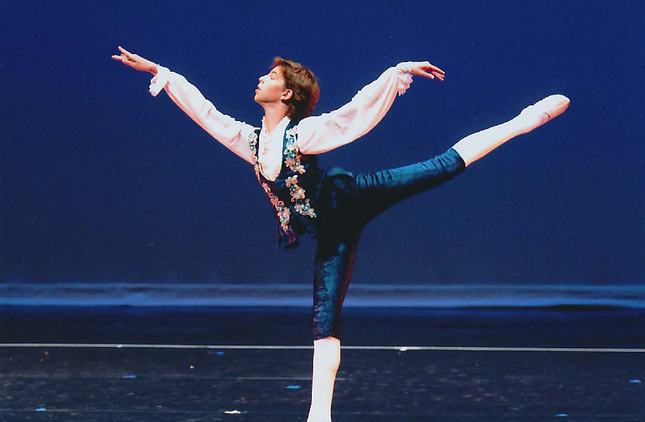 After weathering four days of exams, Daniel was granted certification from the school–and immediately drove to St. Petersburg to apply for the Eifman Ballet. He was accepted and will take his place as the first male American dancer in the company this month. Rubin said that having learned the classical techniques, he wants to try a more contemporary style. “After having learned, hated and loved the classical Moscow school, I think this is something really interesting, fresh, and enlightening,” he said. “I really like everything that is new. The most interesting things, the most satisfying, are the new things. “I like when there is soul to it,” he added. “I really feel that the most important thing is not to be a ballet dancer but performer of dance. St. Petersburg is unique because the soul of dance comes first. In other words, if you don’t tell David Alvarez, a swing in the show, to take a break, he won’t. Being a swing, a performer responsible for learning multiple ensemble roles, for “On the Town,” an athletic, jazz-influenced ballet show, is grueling, yet not even close to some of the punishing physical acts Mr. Alvarez, 20, has put himself through. Mr. Alvarez spent three years of his childhood at another Broadway theater starring as Billy Elliot, the irrepressible British boy seduced by ballet. When he was nearly 16, he took his final bow and finished high school. And then he joined the Army. Context helps put “ ‘Billy’ hard” into perspective: Basic training could mean 300 push-ups in the middle of the night, sleeping for 30 minutes and then having a five-mile run. “All I remember is how hungry I was,” Mr. Alvarez said with a friendly smile. In 2009, Mr. Alvarez won a Tony, along with Trent Kowalik and Kiril Kulish, with whom he alternated in the part. (Mr. Kowalik is now a sophomore at Princeton University, and Mr. Kulish acts and competes in ballroom dance.) Yes, Mr. Alvarez is aware that he’s in a strange position: He has gone from starring in a musical to joining the military, only to make his return to the stage in a musical about the military. And just how many Tony-winning swings are there on Broadway? After basic training, he was part of the 25th Infantry Division stationed in Fort Wainwright, Alaska, where he was selected for a reconnaissance platoon and trained as a sniper. During that time, a two-and-a-half-year contract, he was sent abroad but declined to disclose details, citing personal security reasons. His intention had always been to return to Broadway after the Army to try acting as an adult. For now, he’s dancing and will perform in “On the Town” through mid-June, after having successfully filled in as a last-minute replacement in February. [Toledo, Ohio, USA] – Two area men who shine in classical ballet are soaring toward professional careers. Spencer Hack is now in the first year of a two-year apprenticeship at the National Ballet of Canada, the only Canadian company to present traditional full-length ballets by the world’s top choreographers. Since its founding in 1951, the NBC, based in Toronto, has performed for more than 10 million people. Hack, who started his dancing career at age 3 with Nigel Burgoine, founder of Ballet Theatre of Toledo, long dreamed of dancing with the company. “I could see determination in his eyes from the start,” said Burgoine. The son of Tim and Jacque Hack, Spencer attended West Side Montessori School until leaving at age 14 for the NBC dance academy. During senior year, “I was invited by the NBC to audition for their apprentice program,” said Spencer by email. The audition consisted of taking class with the company under the keen eye of Karen Kain, artistic director, and other staff. His appointment came earlier in 2014, before June graduation. 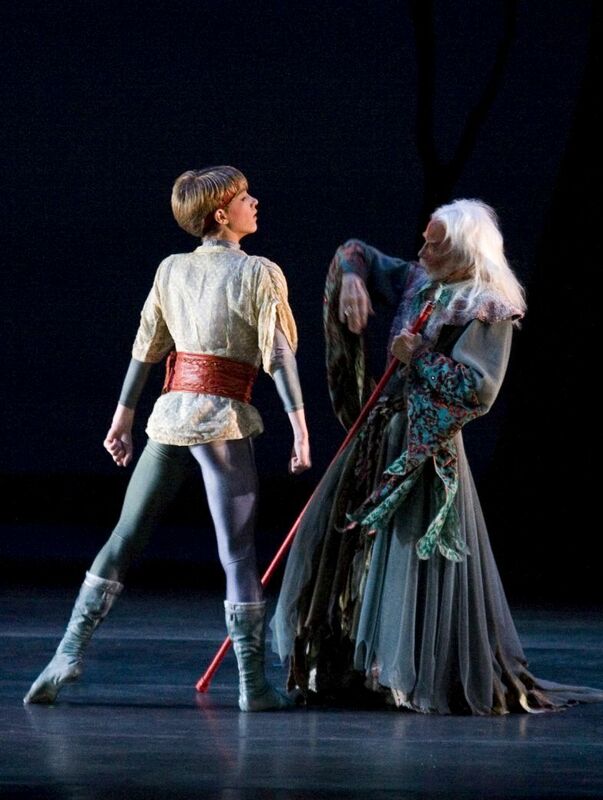 Before leaving Toledo and the BTT, Hack distinguished himself in a variety of roles, from Fritz in the annual production of Nutcracker to original roles in Narnia and Cinderella. Another BTT star also moved up and out this year. 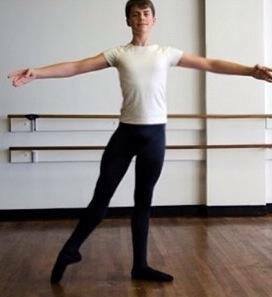 Harrison McClintock, 14, is in his first year at the University of North Carolina School for the Arts, where he is pursuing a degree in dance. Known locally for his performance as Peter in a recent BTT original production of Peter and the Wolf, young McClintock is distinguishing himself in North Carolina. According to his mother, Caroline, he has been cast in several key roles for the company’s upcoming production of Nutcracker. And he is on the path to competing in an international dance competition in March, 2015. 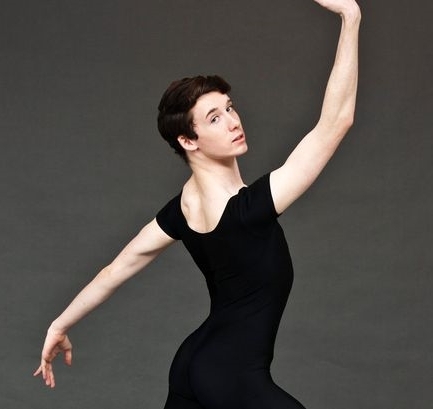 Originally from South Dakota, Ryan Vetter now dances with Canada’s Royal Winnipeg Ballet. Since joining the Royal Winnipeg Ballet School Professional Division in 2008, he has performed in company productions such as Giselle, Moulin Rouge – The Ballet, The Sleeping Beauty and Nutcracker. Now part of the corps de ballet, Vetter is slowly on the rise, reaching for the stars and continuing to push himself ever further. Here, he shares his story with Dance Informa. Ryan, you are a South Dakota native. When/where did you start dancing there? When you were still young and in training, what were your favorite styles? Why? As a male dancer, were there any special obstacles you faced or challenges you had? How did you overcome them? When did you know that dance was what you wanted to pursue professionally? Was there a big “a-ha” moment? As you sought to become a professional ballet dancer, did you supplement your training with any other arts or sports training? What was it like getting accepted to the Royal Winnipeg Ballet School? How long were you a student there? “Getting accepted into the school was so surreal to me. I was still new to the whole concept of professional ballet training, so in my head I kept thinking, ‘I get to live on my own, and just study ballet all day?! Am I dreaming? !’ That isn’t to say I disliked my parents or my family. I love them, and I owe them everything, but I was very independent as a child. I was a student for four years in the Ballet Academic program. I graduated with Distinction and spent one year in the Aspirant program before joining the company the following season. My experience in the school was fantastic. The training was tough, but I like to think that I came out of the school a very disciplined, hard-working and strong dancer, both technically and mentally. How did the RWB Aspirant program help launch your career? Were you surprised when you were later promoted to be an apprentice with the company? What have been some of your favorite roles/works to perform? What are some roles/works that you dream of performing one day? This coming 2014-15 season, what are you excited to perform with RWB? You have also done some choreography. Do you hope to present more of your work in the future? Overall, what are some future ambitions you have? What are your hopes for your career? [Scotland, UK] – A boy who taught himself to dance by watching Billy Elliot over and over again has landed a contract with one of the UK’s top ballet companies. Andrew McFarlane, 19, will move from the Highlands to London next week to begin intense training with the English National Ballet. Growing up with a dad in the Army, he could not commit to formal dance classes as the family moved about. Mum Wendy said: “When Andrew was four, I asked him what we wanted to be when he grew up and he said he wanted to be a ballet dancer. He used to lock himself in his bedroom and watch dance films like Billy Elliot over and over again until he perfected the steps he was working on. Andrew, from Aviemore, studied movies, books and YouTube clips to learn to dance. While studying for his dance Higher, he won a place at Ballet West in Taynuilt, Argyll. He has spent the last three years there. The former Grantown Grammar pupil said: “Dance films and books inspired me and my dream was always to become a dancer, a bit like Billy Elliot. I started out doing jazz and hip-hop, but when I took Higher dance as a subject in my fifth year, I was introduced to ballet. “I used to just practise by myself to begin with and taught myself the basics, by watching YouTube videos and so on, but then I realised I really wanted to be a dancer and I had to do something about it. Andrew’s parents and brothers helped fund his place at Ballet West as he chased his dream. Andrew gained a distinction in his Advanced 2 Royal Academy of Dance examinations and was a semi-finalist in the Genee International Ballet competition. He added: “Myself and Billy Elliot are similar in many ways – we both had to work extremely hard to get what we wanted. [Essex, England] – A ballet dancer from Epping has been awarded a contract to work with the National Ballet of Portugal. Joshua Earl, 20, a final year student at the Central School of Ballet in London, has been awarded a contract to work with Companhia Nacional de Bailado in the Portuguese capital Lisbon. His success follows three years of training and he recently graduated with a BA in Professional Dance and Performance, which is validated by the University of Kent. Sara Matthews, director of the Central School of Ballet, said: “I am proud that so many of our graduating students have been able to achieve such fantastic contracts despite the challenging economic climate.